Klaus was my friend. He came into our rescue late in his life, a silver, too old to be placed. 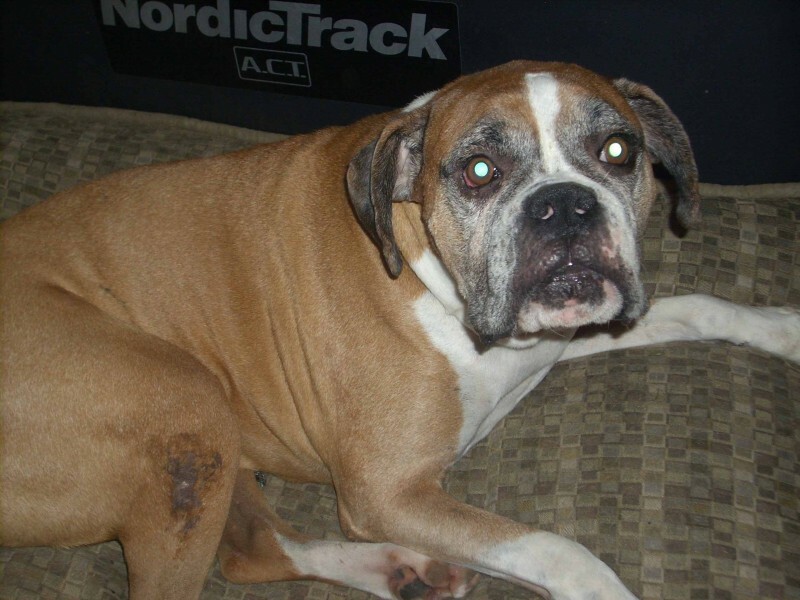 For a while he lived with a really sweet lady who had two other boxers. Every night was a feast there, but her health wouldn’t allow him to stay. He bounced around until he found our home. He had his pillow, his kennel, his food, and all the ear scratching he could get. He loved to lay out in the sun half the day and on the pillow most of the night. He liked to play with the young dogs in the yard and would make a couple of good runs before standing at the door until we let him back in. Last night when we got home we let the pack out into the yard. Jenny did the normal headcount and noticed Klaus was not inside. We found him out in the normal spot near the BBQ pit. Life had left him behind quiet, still, and calm. I will miss you my friend, rest in peace little brother. You were a good dog.